Gun care products are used and recommended by Air Arms, and many leading gunmakers worldwide. 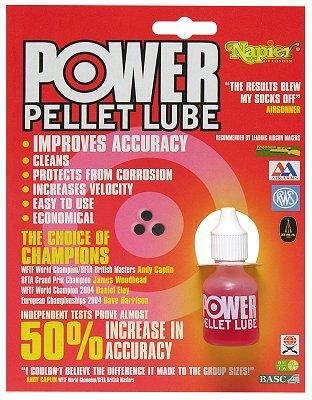 Just a few drops of power pellet lube in a tin of airgun slugs will ensure a fine even coating that will aid loading and offer protection to the gun. Velocity is also improved and consistency of performance which is vital for match level accuracy.